At the office of FAIR, Markethill, County Armagh. I spent the day in South Armagh and I need some time to process what I heard and saw. But look closely at the memorial monument above. What do you notice? That’s right. There are no end dates. 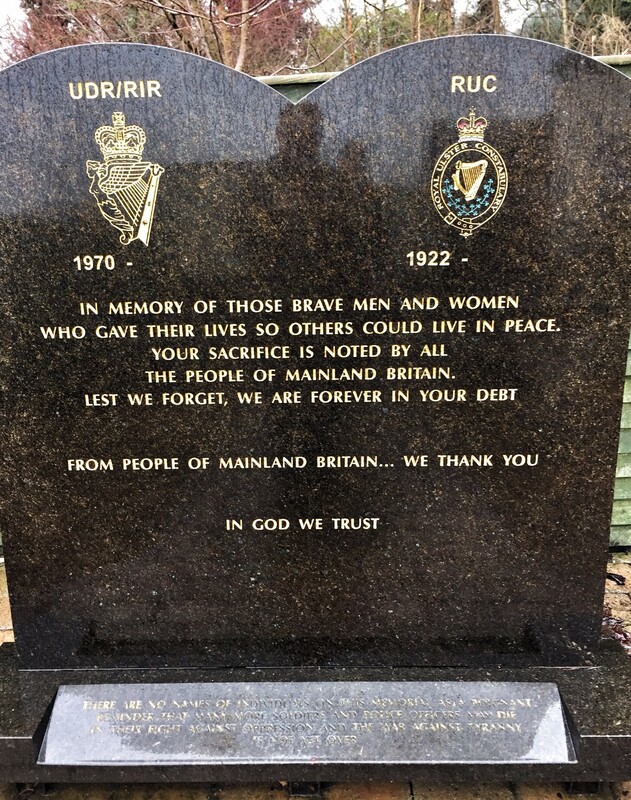 There are no names of individuals on this memorial as a poignant reminder that many more soldiers and police officers may die in their fight against oppression as the war against tyranny is not over. There is unfinished business here. … in that what gets said when the recorder is off stays off the recorder. And hence off the record. I was thinking about that today after finishing an interview with a contact I’ve talked to before. He’s a smart, energetic, friendly, and open man who was at one time a fairly highly placed member of the IRA but has since left the fold. His distancing from the mainstream Republican movement was gradual but ultimately total, and his political work is now limited primarily to advocating on behalf of Republican prisoners and the occasional public criticism of Sinn Fein and its leadership. The Republican world is a small one and he remains well connected. In short he is a great source of information and insight, generous with his time, gracious, and someone I am lucky to know. 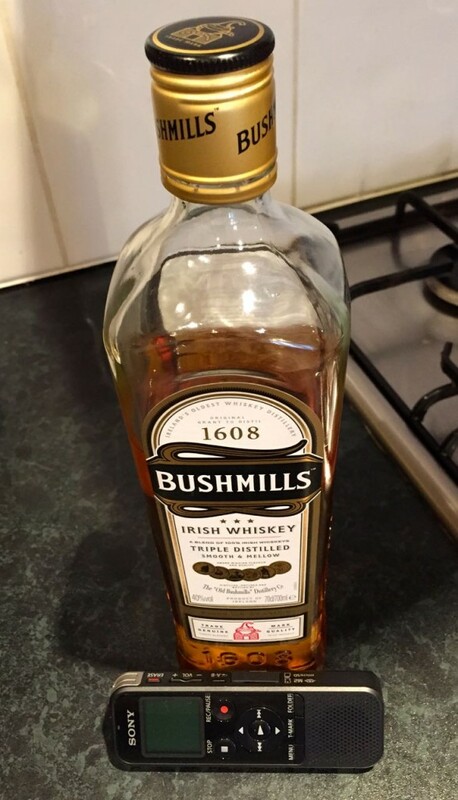 My on-the-record interview with him went about 90 minutes or so, and when we were done and I shut the recorder off, he brought out the bottle of Irish whiskey and the conversation became more informal. Informal, but no less informative. We talked about American politics (he wanted to know what I thought of Ron Paul), our respective countries’ gun cultures, racism, global capitalism, Aldous Huxley, George Orwell, state surveillance, enhanced interrogation, and more. We also talked about the changes in the operational and organizational dynamics of the IRA that took place between the 1970s and the 1990s, what it was like to fight the war within the prisons, how to smuggle contraband into the prisons (everything from fountain pens and tobacco to radios), personalities within the movement and how they got along (or didn’t) with each other, and so on. None of what we talked about after the recorder went off can I use in my writing, not that anything that was said was out of step with our on-the-record conversation or named any individuals in any way that is not already part of the public record. But it does have the effect of broadening my knowledge and understanding, and the overall tenor of our conversation will work its way in to my professional output, whether on the printed page or in the classroom. I find that these conversations are much of the reason that I come here. At this point, you could argue that field work on Northern Ireland is not really necessary. The ceasefires have held for nearly 20 years (more or less), the peace process has been slowly but steadily transforming into a real peace for 17 or 18 years. Seemingly endless reams of academic papers and books have been written and published, and my own modest contribution, when it comes, will only incrementally add to that. I’m under no illusions that my scholarly output will reshape the field. And yet there is a fragility to the peace that I would not appreciate if I didn’t come here and talk to people like those I talked to today. There is an ordinariness to the people who did extraordinary things here (both good and bad) that I would not appreciate if I didn’t come and talk to them. There is a popular narrative about the type of people who become terrorists that I would not be able to challenge for my students if I didn’t come here and meet them and hear their stories. So while what happens when the recorder turns off stays off the record, it doesn’t stay out of my mind or fail to inform my perspective. And for my money that makes me both a better scholar and a better teacher. 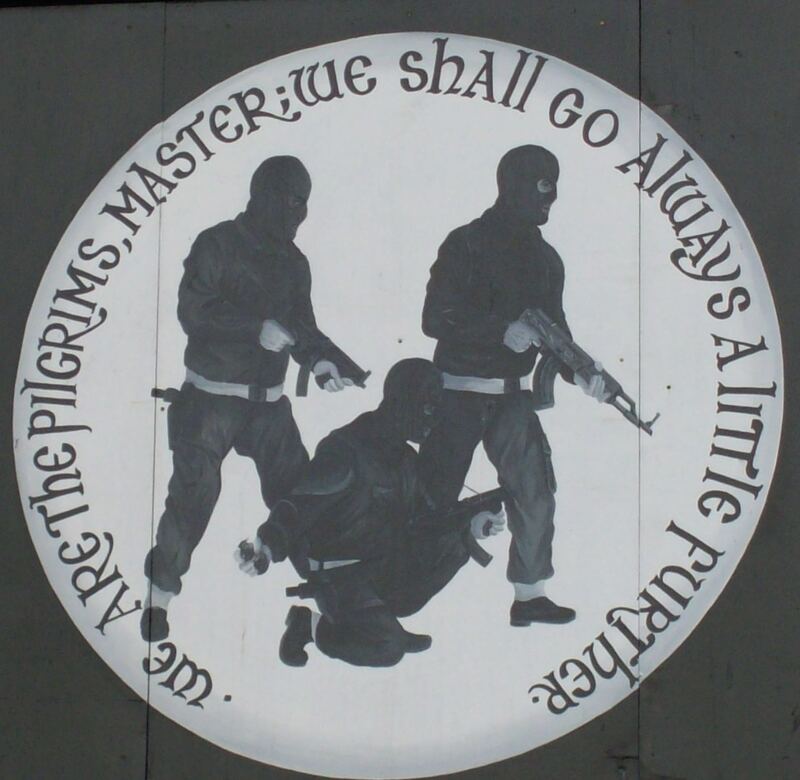 Welcome to South Armagh, circa 1997. I’ve felt for some time that my grasp of things here are limited in two important ways. First, I have far too few contacts in the Loyalist community. Nearly everyone I talk to when I come here are either Nationalists* (political or not) or fall somewhere on the Republican spectrum. Second, my vision is skewed by the amount of time I spend in Belfast. That’s not to say that the city was not and is not central, but politics in Northern Ireland has always had a profound rural-urban divide on top of the other divisions that are so prevalent. Now both of these limitations are understandable. I talk mainly to Republicans because they’re the specific focus of my current research. And I meet mainly Nationalists because most of the relationships I’ve made over the years are with members of that community, and the places I tend to go when I am out socializing are where they feel comfortable. In short, you’re more likely to find me in a City Centre place like Kelly’s or Maddens or the Duke of York than you are to find me at the Royal Bar** in Sandy Row or the Rex Bar on the Shankill. The Unionists*** I’ve met and built relationships with have been from the uniformly respectable ranks of the middle and upper classes, and while their views are interesting, they were in many ways spared some of the worst aspects of the violence that unfolded. For example, a fellow once confided to me, as we walked into Ulster Hall for a performance of the symphony, that for him the Troubles were little more than a nuisance consisting of closed roads and unpleasant news on the television. And I’ve spent nearly all my time in Belfast because the first contacts I made were Belfast-based, rental cars are expensive, driving on the wrong side totally freaks me out, and public transportation via trains and buses is really very good and is comparatively affordable. So far everywhere I’ve needed to go has been accessible via public transit. But as I said, all of these factors have come together to narrow my vision. So this week I am getting an opportunity to do something about that. 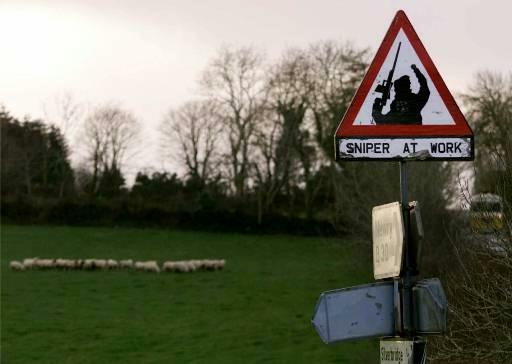 On Wednesday I am meeting a contact who has agreed to show me around South Armagh, which was some of the most dangerous territory in Northern Ireland when things were bad here. This is the part of the country, along the border with the Republic, where the British Army built hilltop forts and watchtowers but for years could only move between them by helicopter since the IRA controlled the countryside. The iconic sign at the top of the post was no joke. You can look it up. And things remain rather unsettled there, despite the relative calm that prevails most everywhere else. My guide is an uncompromising Loyalist who considers the peace process a sham. *A totally unsatisfactory label, but better in some ways than “Catholics” since many of the people I meet from this background are either atheists or non-observant. Labels are even more politically loaded here than they are at home. **Actually, I did spend a very pleasant evening in the Royal Bar several years ago after attending a Loyalist flute band parade through Sandy Row. So I’d go back, but my friends won’t enter the neighborhood, so that’s a problem.